Noxon Giffen is an award winning architectural practice established in 2004 by Justin Noxon and Darren Giffen. With offices in Sydney, Melbourne and Flinders on Victoria’s Mornington Peninsula, the practice has experience across the disciplines of architecture, master planning and interior design. Supported by a creative and passionate team, Noxon Giffen has a reputation for delivering outstanding architectural outcomes. Projects evolve through a ‘journey of exchange’ with clients in a collaborative design process that embraces the realities of budgets and time frames. A fundamental focus of the practice is the integration of the creative design vision with the rigours of project delivery. Central to the Noxon Giffen design philosophy is a commitment to sensitive and enduring architectural solutions. Through a holistic approach design is focused on the users’ experience and the integration of landscape and natural elements. The practice is excited about the opportunity to enrich the human experience and contribute to a socially and environmentally sustainable future. Alison Dodds Architect is a small practice based in South Yarra that specialises in high quality residential architecture and interiors. A considered response to site, context, affordability and client brief, contribute to the evolution of each project. Our primary aim is to listen to our client’s specific needs and generate spaces that are configured pragmatically but can also enhance the emotional experience of the home. We gain immense satisfaction from taking our client's ideas and making them a reality with an added measure of architecturally inspired and innovative design. As we are a small firm, the personalised service that we offer means clients deal with the same people and develop a mutual working relationship throughout the project. Additionally, we have extensive experience in dealing with local councils, which we believe is pivotal in order to facilitate the path from conception through to building and completion. 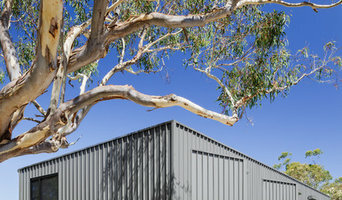 Steve Rose Architect is a boutique Melbourne-based firm specializing in contemporary, sustainable architecture & design. Our practice focuses on working with clients to achieve their objectives in the most effective manner, regardless of the size or complexity of the project. We prefer a holistic approach to the provision of services so our clients benefit from an efficient, seamless end-to-end process – from initial project feasibility & planning advice to schematic design, design development, town planning, contract documentation & administration, through to completion and hand-over. Interior design is an integral part of all projects – from selection of furniture & finishes to final project delivery. We can provide all of these services. Early engagement of an architect is key to the success of any project. If you talk to us at the outset, we can assist you with developing the brief and ensuring you have all the key steps covered. We firmly believe no project should be undertaken without rigorous assessment & analysis, and a well-documented master plan. ABOUT THE STUDIO PNEU Architects is an architectural firm established in 2009 with an emphasis on embracing the disciplines of architecture, interior design, town planning and urban design. Our philosophy PNEU Architects brings to every design brief a fresh perspective through fully understanding the needs and expectation of our client; brainstorming to synthesize needs into rich architectural solutions. Frank Architecture is a frank, pure, transparent Architectural service showing attention to detail and focusing on open communication. I will inform and guide you through each stage of the design process, and if you wish Contract Administration through the construction phase. You can be as involved or uninvolved as you wish through the complexities of the design and construction. The director Frank Corran graduated from Deakin University in 2004. Frank finished with high honors and received prestigious recommendation for his Graduate Position. Frank graduated from University in the top 3 of his large design class. Frank was welcomed as part of the team at the internationally renowned Peddle Thorp Architects in January 2005. Frank has over 12 years experience working on a wide range of projects from 32 level office towers, Aquariums, Schools, Aged Care facilities, Heritage and non Heritage Apartment Developments, New Homes and House Extensions. Architect Robert Davidov started his own practice Davidov Partners based in Melbourne, Australia in 2011. His projects to date include private homes, guest houses, retail spaces and multi residential projects. 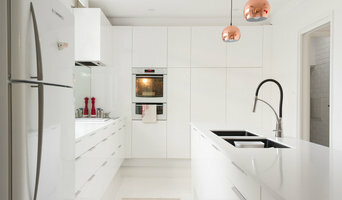 Examples of his private projects include renovations and interior design of houses as well as apartments and townhouses. Each project has demonstrated a considered approach to understanding each individual needs, both in terms of exterior and interior architecture. Robert’s work explores a clear vision of space and materials, while retaining a feeling of warmth. The designs demonstrate his rigorous and contextual approach to design from the roughest construction to the smallest interior details. Robert’s extensive passion for travel and research continue to inspire and inform his work. Davidov Partners is an A+ Practice Member of the Australian Institute of Architects and is a registered Architectural Practice with the Architects Board of Victoria. SC Design is a creative Architecture Studio owned and operated by Stefania Calarco which specializes in providing all Architectural Consultant services to meet expectations and requirements of each individual Client Stefania has over eight years of experience working both in Europe and Australia being involved in numerous projects ranging from residential extensions, multi -unit apartment developments, commercial projects, fit-outs and refurbishments. Through a well-managed process and understanding of project restraints, SC Design will take you on a journey from the initial concept of the design through to the fulfillment and completion of the project.... personalized and suited to the individual needs of the Client. "I always say that to my Clients that I don't just work for you but I work with you..... I hear what you feel and what you think!" Listening and understanding is the key step to a successful project....and the basis for ensuring that the outcome meets the Client's needs and requirements. Let's enjoy the journey together to create your own space! With Your Building Advisor, our clients have confidence and peace of mind when starting a renovation, new build or owner builder project. Design, estimates, construction and materials supply are a collaborative process between you and us. We hire qualified and recommended engineers, builders, surveyors and trades for your project, taking the stress and uncertainty out of the project. We will be there with you every step of the way, ensuring the best quality design and workmanship whilst protecting the biggest investment in your life. Award winning design practice offering custom designs for residential and commercial dwellings. Project supervision and owner builder assist. Affordable, sustainable & energy efficient architecture At Gruen Eco Design we specialise in high-level energy efficient homes and we believe sustainable design can and must be affordable for everyone. We specialise in complete design services for mid- large scale projects. No matter how big or small your project, contact us if you’re thinking about making your home more energy efficient and sustainable. Perversi-Brooks Architects was established in 2014 and has since developed a reputation as a design focused practice that works collaboratively, and 'hands-on' with each and every client to ensure a great outcome for all involved. We pride ourselves on being an adaptable, agile, emerging architectural practice where our ideas are refined and enriched through the course of each project to create rich, meaningful, contemporary, carefully considered, exceptional design outcomes - regardless of the size, scale, complexity, or budget of the project. We believe in embedding a rich set of ideas, narratives and meaning that are gleaned from working closely with our unique clients and their individual project requirements; the site, the context (physical & conceptual), and the culture within which the project exists. We are interested in creating an architecture driven by the specificities of each individual project. We are fundamentally not interested in 'style' for style's sake. 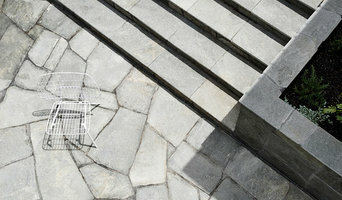 Our architecture is contextual. We believe in context - in the broadest sense of the word - and often look for ways to subvert, distort or adapt this context, in order to create a 'radical-contextual' response to the physical site, the history of the place, the community, the culture, and the needs of a particular place and time. We believe good ideas can transcend any particular scale. We are interested in providing exceptional design outcomes of all scale. We are interested in design outcome from the scale of the door handle, to the scale of a city. We are interested in the spaces between things, often at the periphery to a projects intent, above-and-beyond - and in addition to - the clients basic needs, aspirations and dreams for the project. Our work is driven by well researched, tested and implemented strategies to produce exceptional design outcomes. We are passionate about what we do. We are passionate about architecture, and the potential it has to affect change on your world. On The World. We are in the business of turning ideas into reality. Creating something real and tangible out of dreams. Dankor was founded in 2008 with a vision to create highly considered residential and commercial architecture. Our Practice has won numerous awards and our projects have appeared in a number of publications including Renovate Magazine, Winning Design Magazine, The Age and Herald Sun Newspapers. 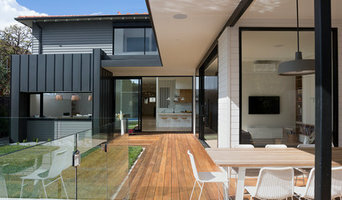 Since the practice commenced in 1993, Chilton Architects has completed a large range of residential and small commercial projects in Melbourne and country Victoria. As a small practice we offer a personalized service from the first briefing to the final completion of the project. We understand that building or renovating for the first time can be a daunting prospect, but it is our role to help clients through the process. We develop a close relationship with our clients to ensure our design reflects and enhances their lifestyle and makes the process of building or renovating their home an exciting and rewarding experience. We develop designs for homes that have a timeless appeal – they are tasteful, warm and inviting. The design is informed by the site context, our Clients and environmental factors. Passive Energy Design; with consideration of solar orientation, good ventilation, thermal mass, and insulation is a given for any project. We aim to use local and Australian made materials, reclaimed and environmentally sustainable materials whenever possible. We create spaces that allow quiet reflection, and others that encourage active participation. The outside spaces are as important to us as the interior, and particular attention is paid to the interface between the two. Our most important goal is the creation of a friendly home.